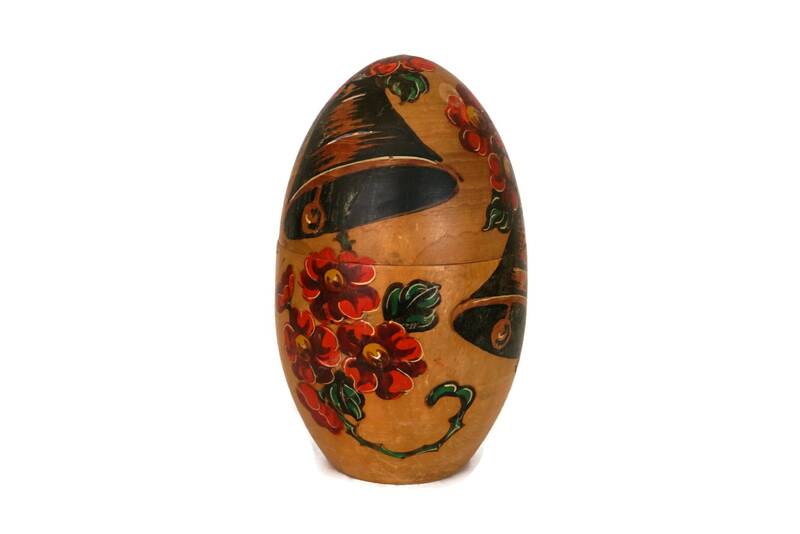 A beautiful vintage wooden Easter egg box manufactured in France in the 1950s. 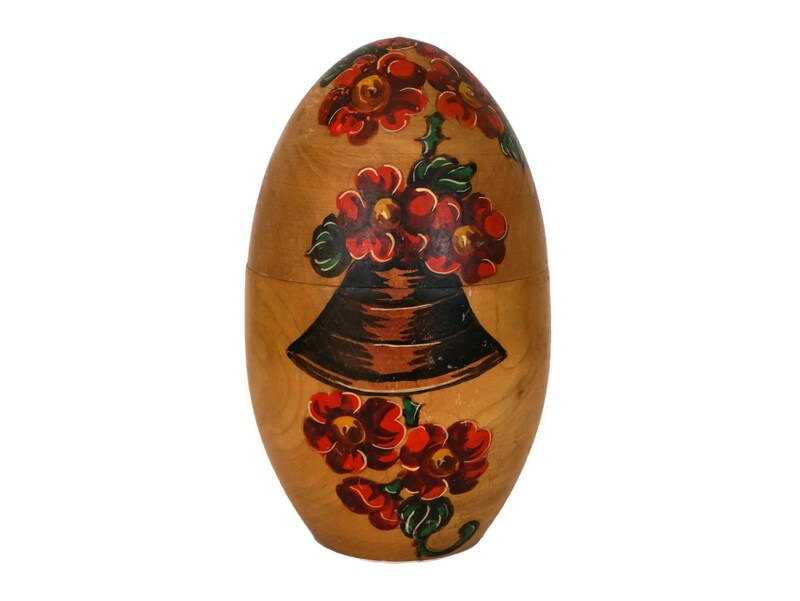 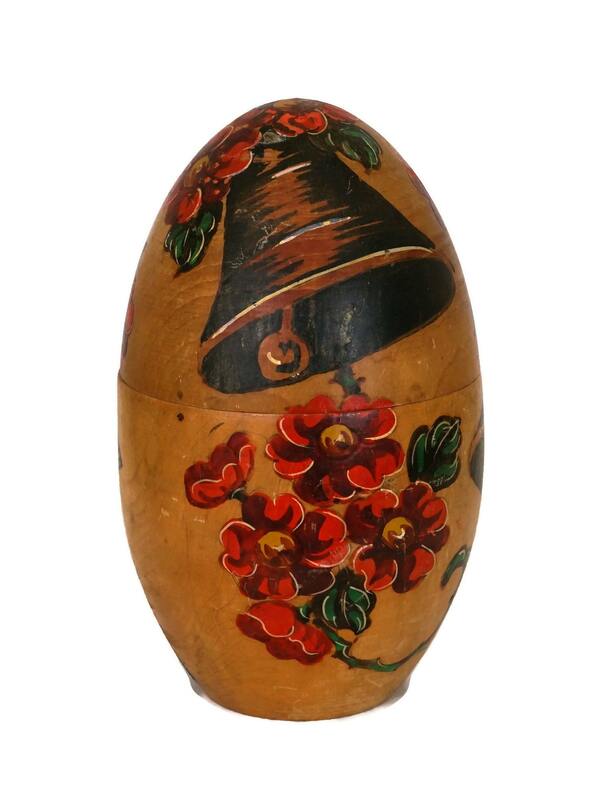 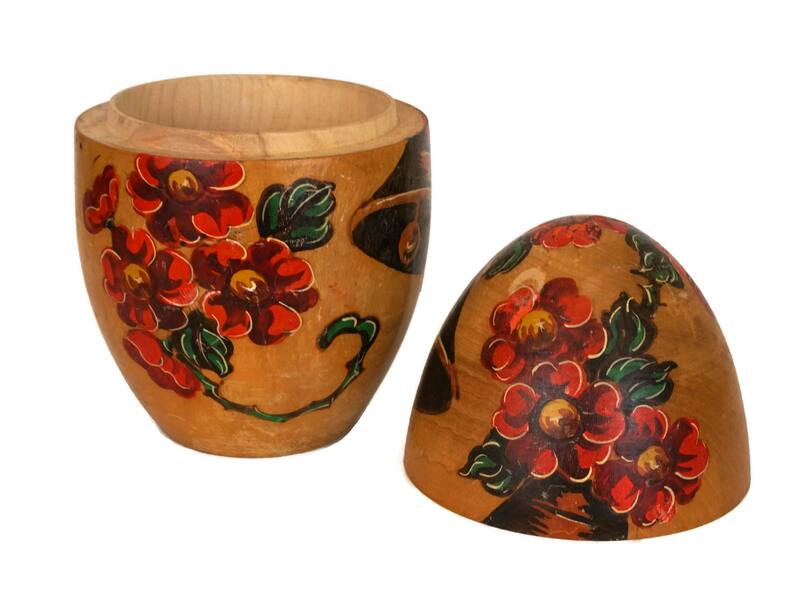 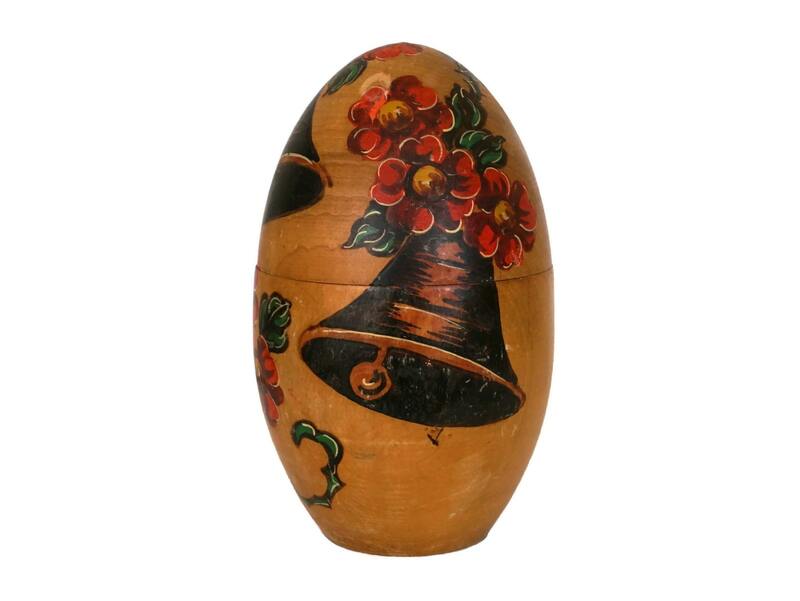 The French Easter egg has been hand crafted from light wood and hand decorated with bells and flowers motifs. 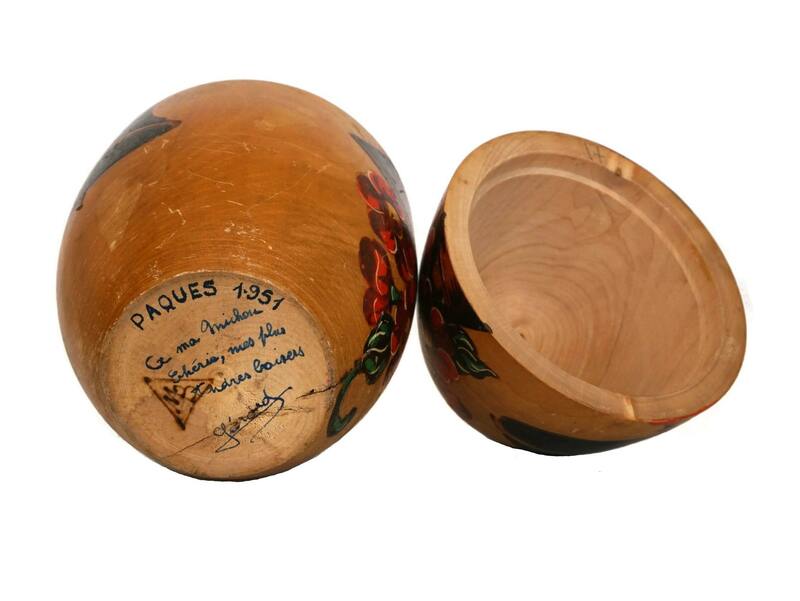 It was originally offered as a present to celebrate Easter in 1951 and a personal message has been hand written in French on the base ("Pâques 1951 : à ma Michou chérie, mes plus tendres baisers, Gérard"). 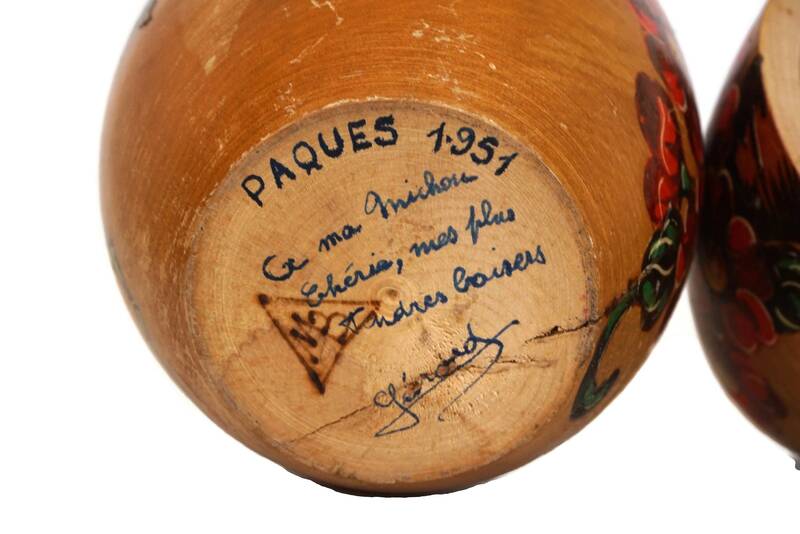 The Easter egg has been signed by the artist on the base with the initials AB. 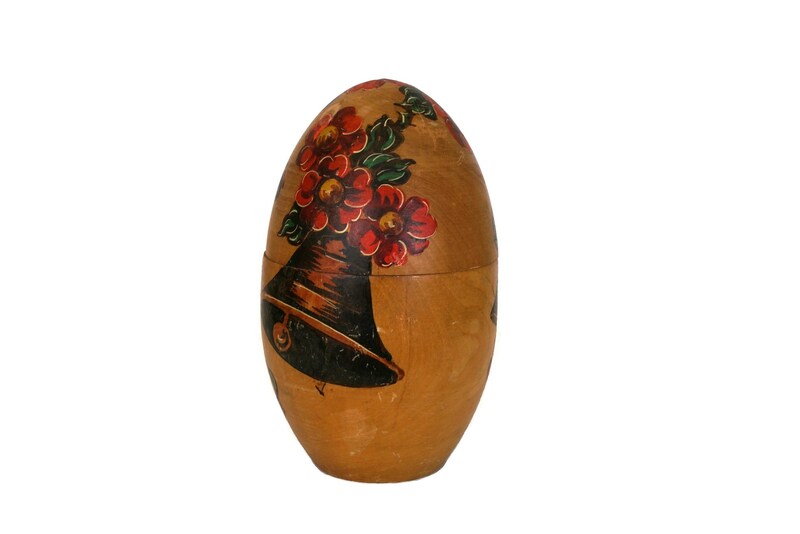 7.5" Tall x 4.1" Wide (19 cm x 10,5 cm). 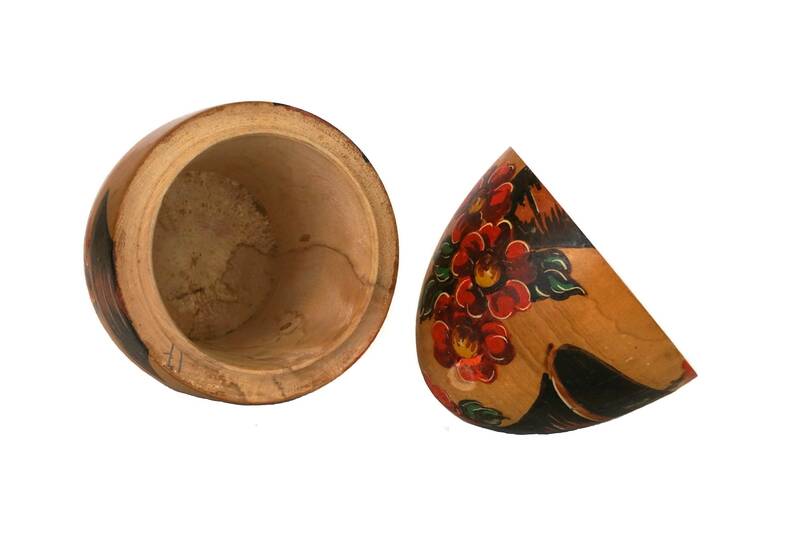 The opening of the interior of the base is 3.4" (8,5 cm). 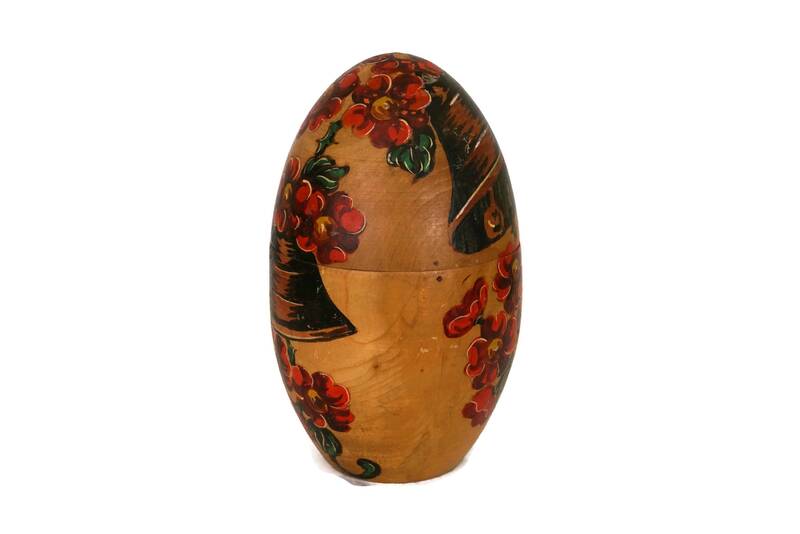 The vintage wooden Easter egg box is in very good condition with light signs of age and wear including surface marks and a thin surface crack.